This post is sponsored by Clairol. 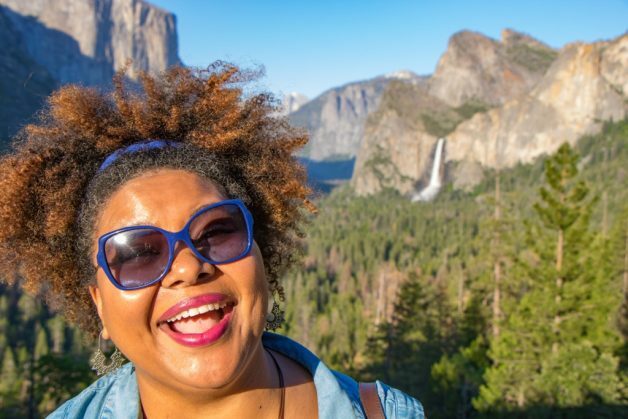 I’m a natural hair blogger who adores her texture. 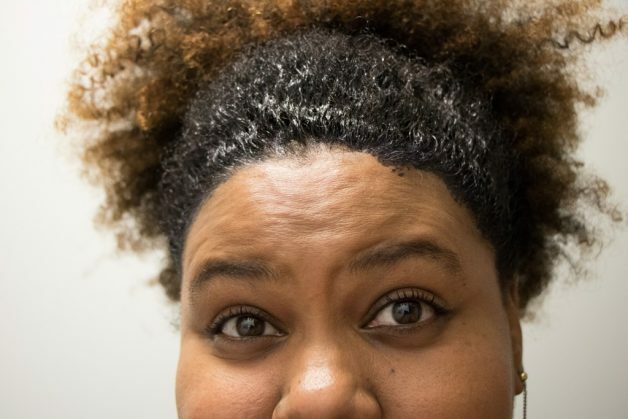 I do everything I can to preserve my hair texture at all costs. My hair color, however? I’m willing to play with – as long as it doesn’t affect my hair texture. In high school, I wore my hair relaxed and tried everything from pale blonde highlights to fuchsia and navy blue streaks. It was literally fried, dyed and slicked to the side. Then I went natural and became much more conservative about using chemicals on my hair. What if they ruined my curl pattern? 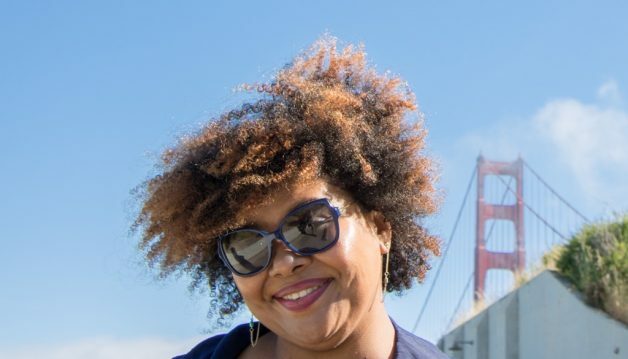 If and when I did get my hair colored, it was most probably with a professional who could assure me the coloring process would leave my coils, kinks and curls in peace. Hair color isn’t something I do often, because it can be so expensive, and challenging to find someone who truly knows and gets natural hair. I say all that to say this – I’m not one to hop in just anyone’s salon chair, and I’m not one to mess with any and every kind of hair dyeing process. I’m cautious. That might be an understatement. I’m also in my thirties, a window of my life where gray hair becomes a factor to consider. My most recent permanent color was in February 2016 — it’s so grown out now! My hair gradates from dark brown to an old blonde. My hairline started out with just one or two little gray hairs that popped amidst the darkness. And then one day I looked in the mirror and BAM. The gray takeover was undeniable. These grays are bold. They are wiry. They don’t conform to my other coils. They sneak up when I’m not looking and then all of a sudden they’re front and center. I’m not averse to just growing naturally gray, far from it. Shoutout to Gorgeous in Grey, Natural Silver Sista and Dr. Anthea Butler – my role models in grayness. I look at their glorious hair and aspire to such silver goals. I was just hoping my gray hair would grow in all cool, in a streak like the Bride of Frankenstein. Instead it just started to make my whole hairline look crazy and I felt like it was making me look older than I was ready to be. I started wearing my hair down on my forehead to cover my gray hairline, but for the heat and humidity of summertime I needed a better solution. I wanted something that could cover my hairline for the summer and still allow me to be out and active and free. Summer is peak headband season for me. 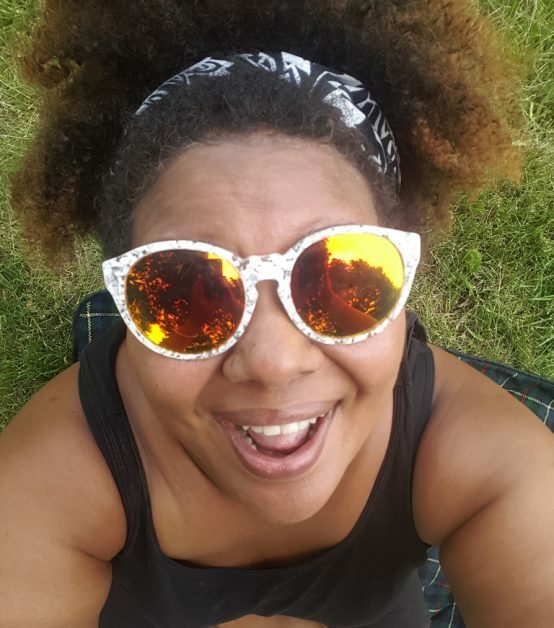 I love being outside and doing the things I love to do most, with sunshine on my shoulders and my hair pulled up and back into a regal crown of coils. 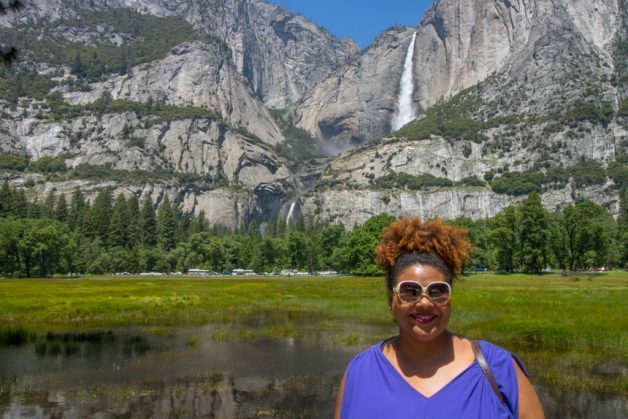 In May, my husband and I planned to celebrate our 15th wedding anniversary in California, heading to Yosemite National Park – exciting adventures awaited us! I knew I was going to be doing a lot of hiking and that it was going to be hot. I knew we were going to take a LOT of photos. So naturally, I wanted to rock my headbands and feel confident in the pictures I was going to take. That’s when I discovered Clairol Root Touch-Up. Check it out. Let me school you on this product, it’s a game changer! 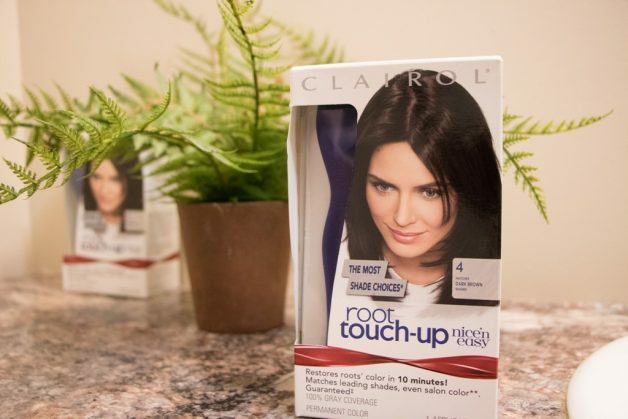 Clairol Root Touch-Up by Nice ‘n Easy is the first root maintenance product to mass market. 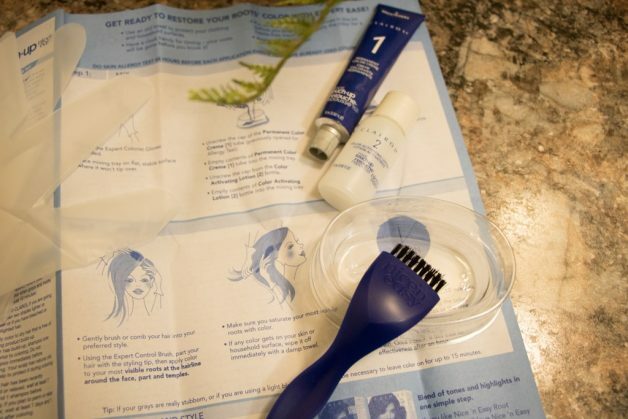 This little kit contains everything needed to erase the grays along your hairline in just TEN MINUTES. 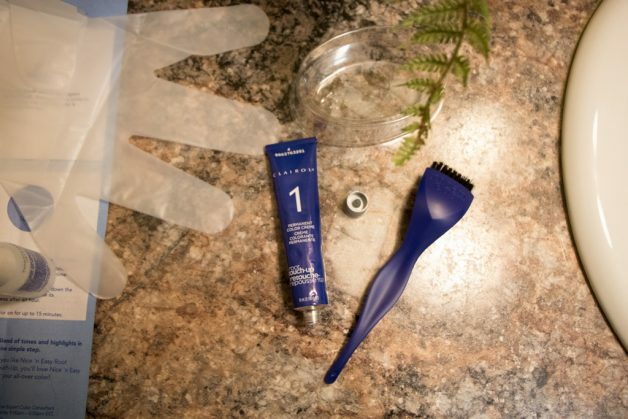 Doesn’t matter if you’re a salon goer or an at-home hair color user, this is a product you can use in between to target new roots and grays. It comes in 21 shades, so there’s one for everyone. It’s formulated to be a bit more matte to seamlessly blend into hair color that already has been worn out a bit, so the look is intentionally natural. Ten minutes to extend the life of your hair color, and it lasts up to three weeks. Sounds amazing, right? Color me intrigued! Afrobella: How long have you been a stylist? Shirley: 37 years, best non-working job I’ve ever had! And I wouldn’t trade it for the world. Afrobella: I love longevity! You’ve gotten to see the entire journey of at-home hair color. Things have gotten so much better for the consumer and the stylist. 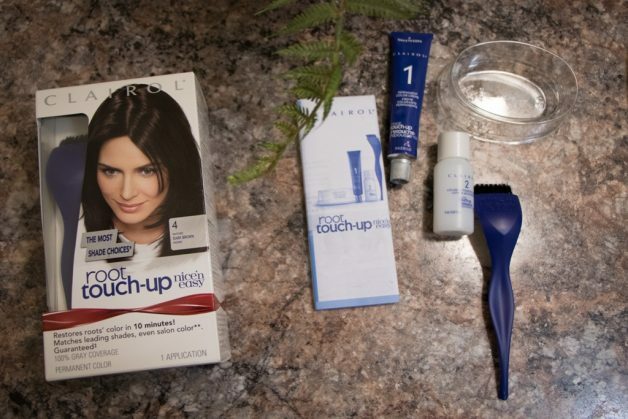 Bringing us back to Clairol, how has at-home hair color changed and what can consumers look for now? Shirley: Major mistakes would happen a long time ago due to lack of knowledge. 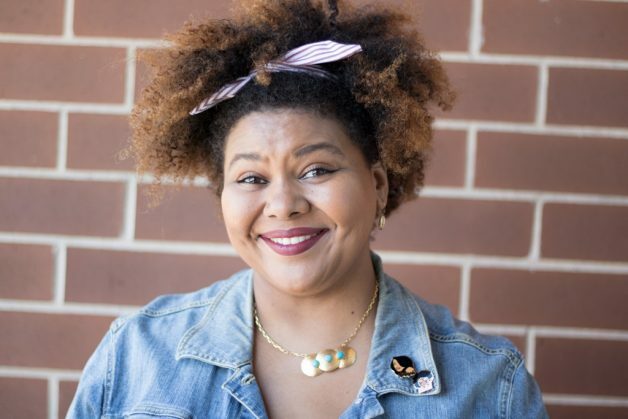 Afrobella: I have natural hair and only wear it in its natural texture, so I don’t straighten it… I’ve had my readers challenge me to not color my hair and ask if I am truly natural, if I dye my hair. I would love you to speak to these concerns. Using a product like Nice’N Easy, for a woman who wants to color her hair and not alter her texture, are there any concerns? Shirley: About 80% of my clients are natural, I’m a huge colorist fan while keeping your hair intact. NNE will help keep your hair conditioned due to the CC cream. Keeping the hair as healthy as possible is the most important thing when it comes to coloring hair. 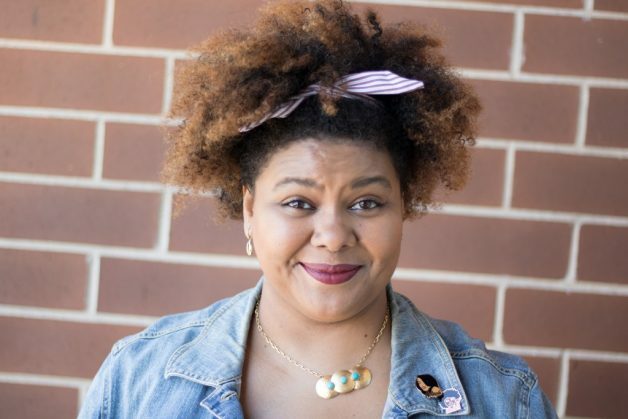 You are not taking the natural curl pattern out of your hair at all. 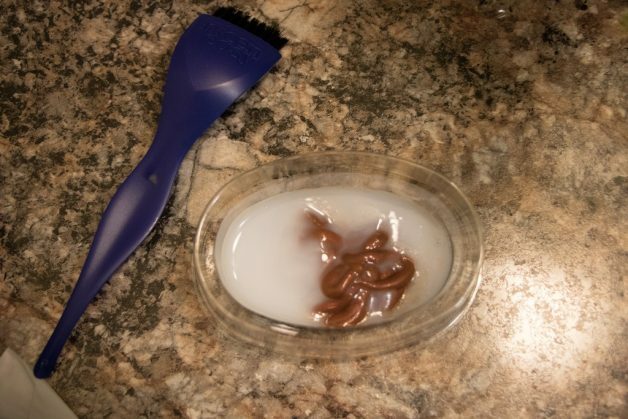 At home DIY moisture treatments that incorporate oils will help give curls life and does not break the bank. Curls need to be able to absorb moisture, and the best way to do that is with the help of steam treatment or sitting under a heat cap. Heat helps product go deep into your hair and touch your cuticles. You can also use a protein treatment to strength your curls. 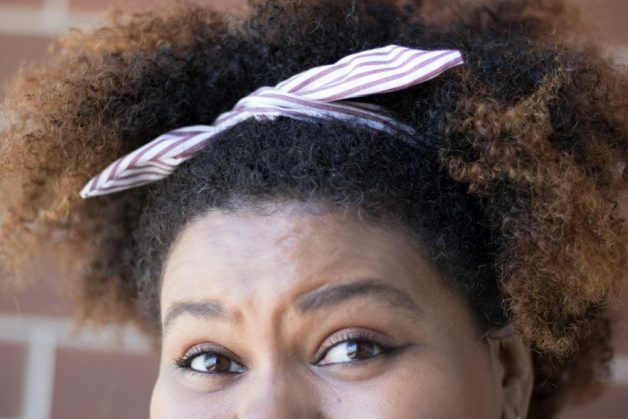 Afrobella: Does it alter the texture? Shirley: No, 100% it will not alter the texture. The only time you may alter texture is if you are taking a dark brown to a platinum blonde. 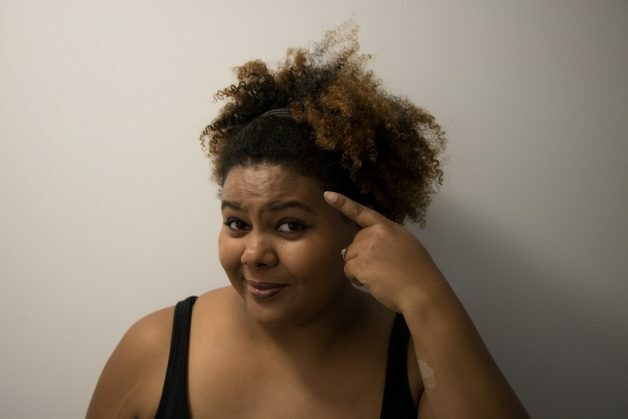 Bleaching heavily can only make you lose your curl pattern if the process is too strong, make sure your stylist really understands how to change the level of developer when it comes to going blonde but also keeping in my mind the health of your curls. My go-to tip, low developer and slow process, this will ensure your curl pattern will stay its natural and healthy self. Afrobella: Is it true that permanent dye can make your hair shinier and Root Touch-up can give you a more matte effect? Shirley: Any permanent color you use that is darker will always give your hair a natural gloss, Root Touch-Up is formulated to giving you a more natural finish look to blend into your already dyed hair seamlessly. 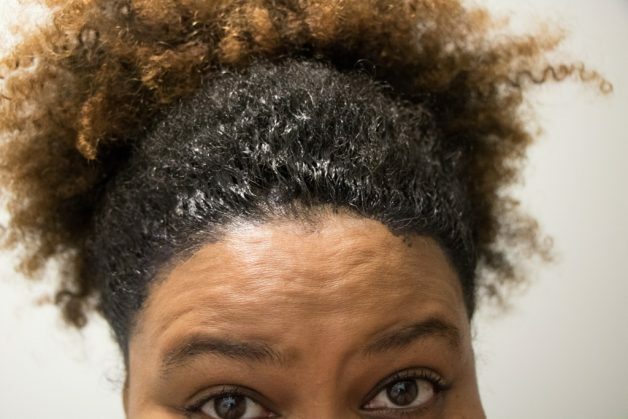 Afrobella: I have really blonde ends; can I use RTU all over my hair or just roots? Shirley: You should use it only for your roots and use Natural Instincts to gloss all over your hair to help tone the color. Afrobella: How about the grays that are growing in at the roots? Shirley: 10 minutes and your grays will be gone 100%. 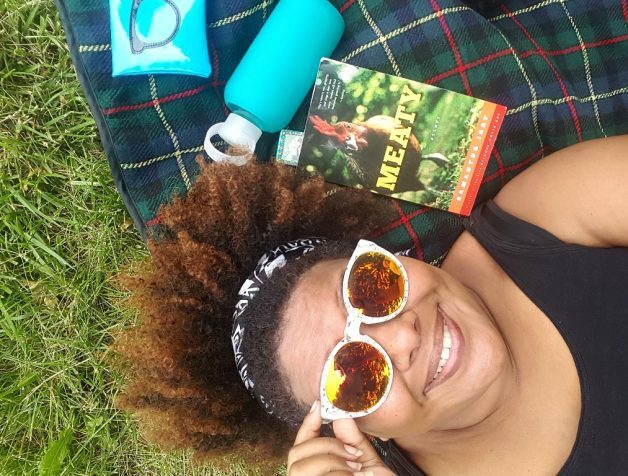 Afrobella: Will the color sweat out on the hot summer days? Shirley: Not at all! It will last you up to 3 weeks. You won’t see any type of residue that may appear on your hair if you use a rinse. 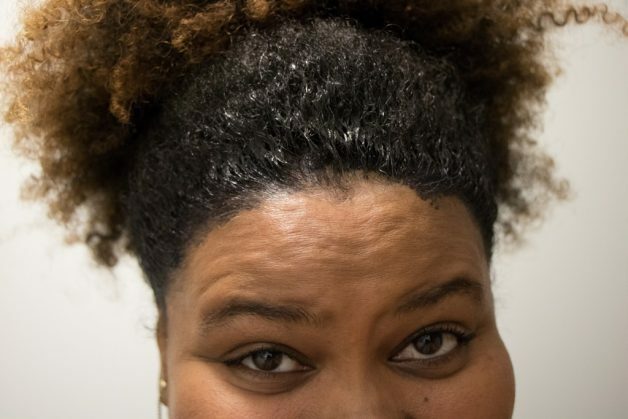 Afrobella: Anything else you want people to know about you or to help women of color when it comes to coloring hair? Shirley: Check me out and all my hair colors on Instagram @Shirleyghautehair. One thing I want to leave with my natural girls is to not be afraid of color, but remember to moisture that is the key! 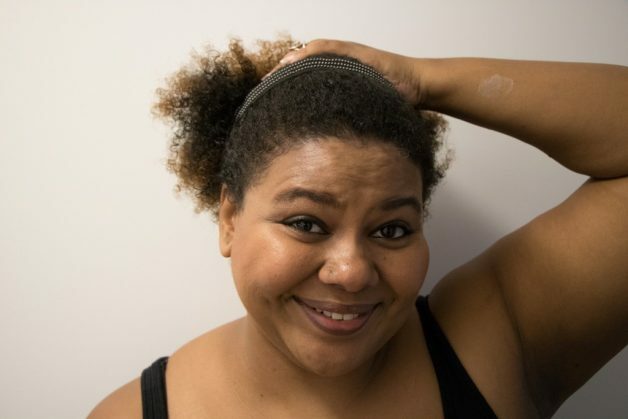 Natural and textured hair is already dry to begin with, so it’s our job to keep it hydrated. 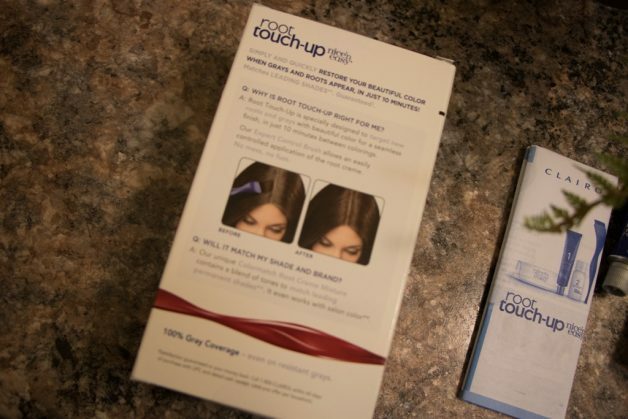 Shirley’s answers made me feel much more assured about trying the Root Touch-Up kit. I took it with me to California, but on my first day I still wore my hair down. Like this. The first day in Yosemite, we did a little hiking and I rocked one of my favorite headbands. It was a beautiful day to explore. 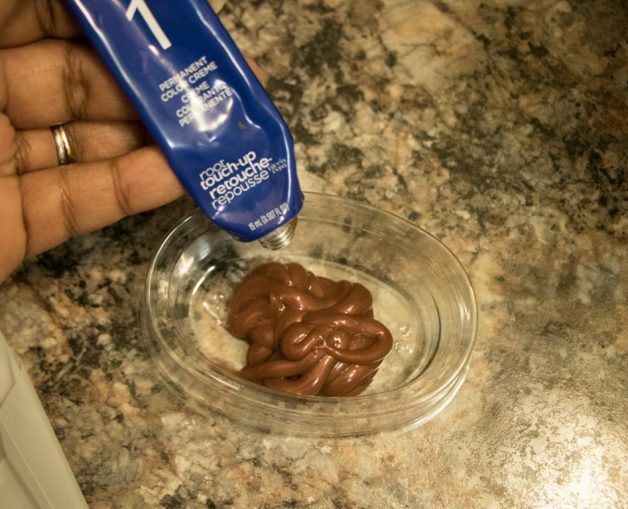 And then I took a good look at my hairline and decided it was time to give Clairol Root Touch-Up a try. 10 minutes, three weeks. What did I have to lose? Here’s a before of my roots. And here’s what I did, step by step. Step 1, read the instructions carefully. SO many times I’ve just assumed I know what I’m doing and wound up reducing the efficacy of the product. I was brand new to Root Touch-Up so I followed the instructions to the letter. First of all, do the allergy test 48 hours before using – it would be SO unfortunate to skip this step and discover an issue later. OK! Then I used a towel to protect my clothing and was careful to mix on a flat, stable surface.. It’s super easy! The package includes everything you need, the bowl, the brush, the gloves, the guidelines. Squeeze tube 1 into the bowl. Add bottle 2 to the bowl. See my roots getting darker already? 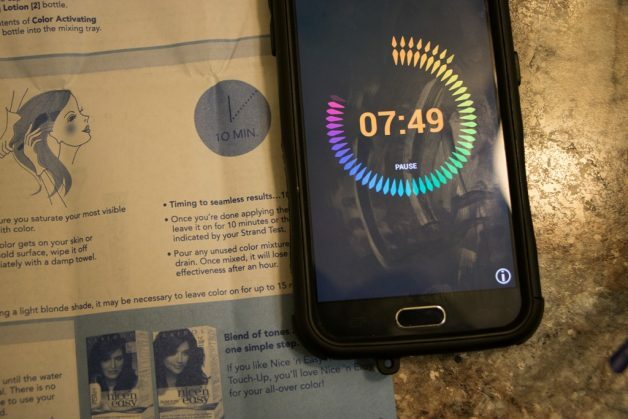 When using Root Touch-Up, it’s important to use the timer. I didn’t want to go over that 10 minute limit! I rinsed my hair out according to instructions, and here’s my after shot. 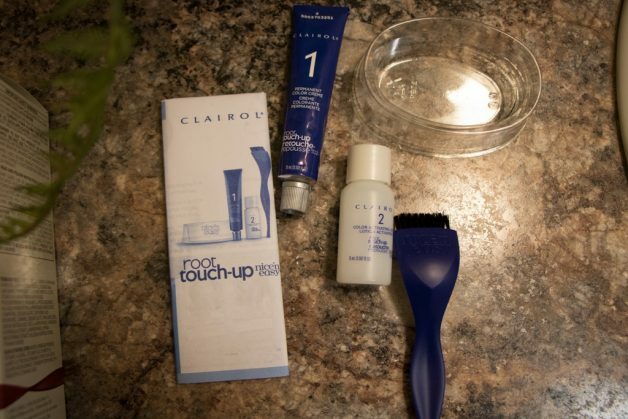 Looking good so far, but I know what you want to see – how Clairol Root Touch-Up made my hair look, especially in the light. Let me show you. 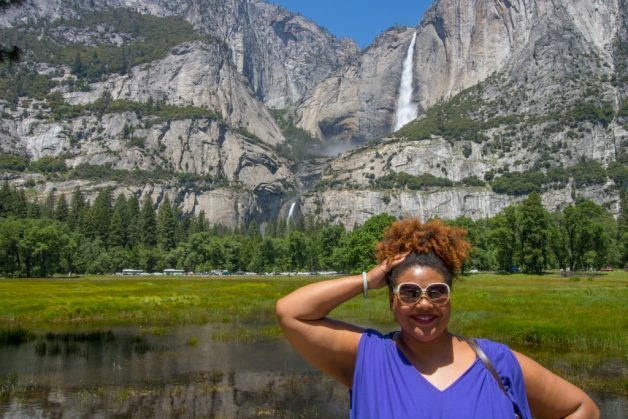 The very next day we went back to Yosemite and I was TOO ready to rock a high afro puff. It is SO BEAUTIFUL there, OMG. Like being in a postcard. More to come on my Yosemite adventures (if you follow me on Instagram, you’ve seen a LOT)! We had a blast. We hiked and explored and enjoyed thoroughly, all of the things that might typically wash off, sweat out or mess up a temporary root cover up. Then I returned to Chicago, washed my hair and settled back down to busy city life. 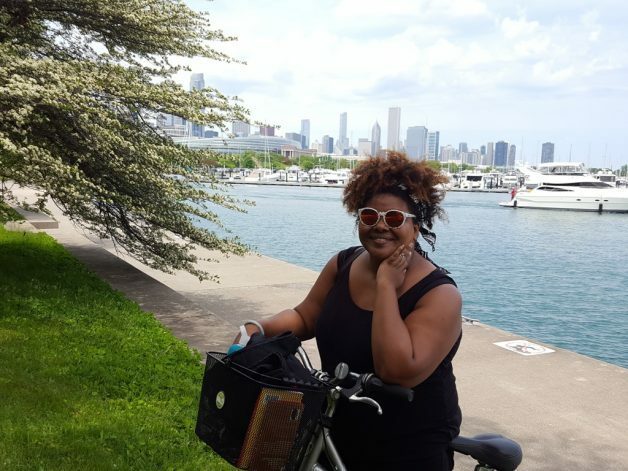 Here I am en route to the Daley Plaza Farmer’s Market (one of my favorite places to be in summertime Chi). Check out these ROOTS! Not bad, right? This is week two of Root Touch-Up and I’ve done all sorts of activities to sweat out these roots. Please note that there are only a few grays starting to re-emerge, and my hairline is unchanged in terms of texture (please don’t come for my edges, they’re unlaid as ever). Summertime in Chicago is hot and active and beautiful. It’s my favorite time to live here. Since we’ve been home, we’ve been spending lots of time outdoors. I have been thoroughly sweating out my hairline. 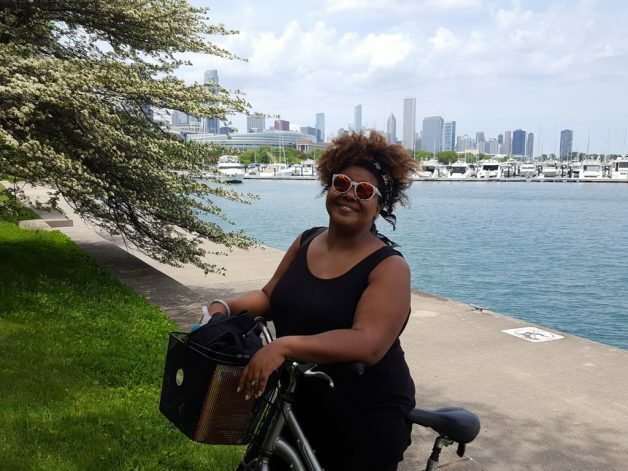 For week 3, we rode our bikes out on the Lakefront Trail. One of my favorite things to do in the city! We brought a blanket, water and our favorite books. Just found a shady tree, laid out, relaxed and read by the waterfront. Super chill Sunday. How are my roots? I’ll show you, close up! They’re growing back in, gradually. Not bad for 3 weeks, right? 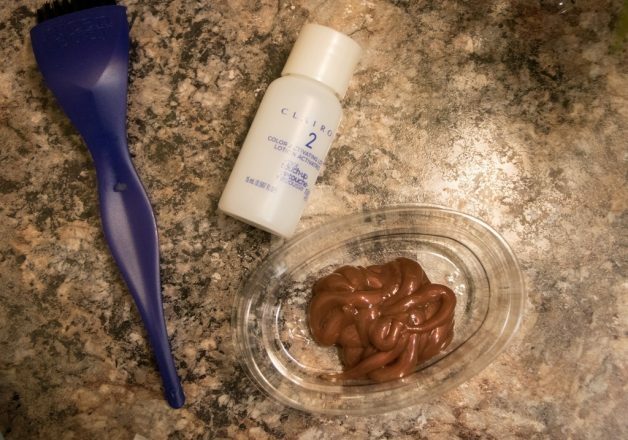 So that’s my Clairol Root Touch-Up experience. Would I do it again? Most definitely, whenever I want to quickly cover my hair. This stuff totally stood up to the elements of my adventures! It’s lasted better than I could have expected, AND my hair texture was never once compromised. Win, win and win. 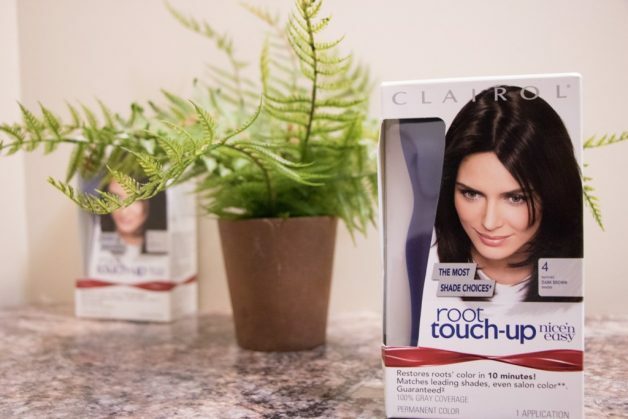 You can find Clairol Root Touch-Up at most major retailers, available in 21 shades from Extra Light Blonde to Dark Auburn. I’m a Dark Brown, if you’re curious! Click here to visit their official site, and check them out on Facebook, Twitter and Instagram. Thank you to Clairol for partnering with me! This post was sponsored by Clairol, but the opinions and experiences are all my own. This is an excellent longstanding product which I have successfully and happily used!